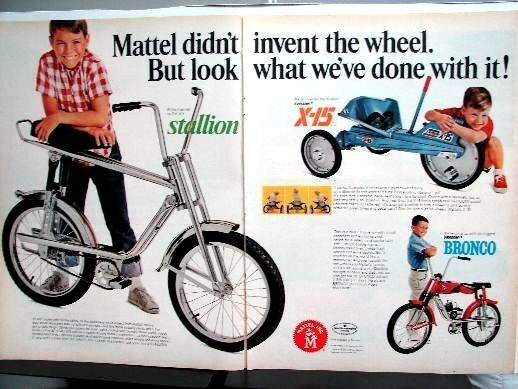 Mattel didn’t make very many bicycles, just these two that we know of. Very sturdy bikes, with a great motorcycle theme! “Mattel didn’t invent the wheel. But look what we’ve done with it!”. Ad shows the Stallion, a lighter, “chromed out” version of the Bronco.